In May of 1974, an embattled President Richard Nixon visited Spokane to dedicate the 1974 World's Fair against a backdrop of lies, cover-ups, and political drama. By this time, the president was in his second year of the public scandal that would bring down his administration. Nixon administration officials were eventually indicted for their part in the scandal and an attempted cover-up. One Expo official, Jane Johnson, recalls, "it was about the time that he came for the opening of the World's Fair here in '74 that the world began to crumble for him.... As you may recall, on that day of the opening, we had quite a demonstration group that were up on the bridge there during the ceremonies." The situation provided Spokane with an amount of national publicity it had never experienced. 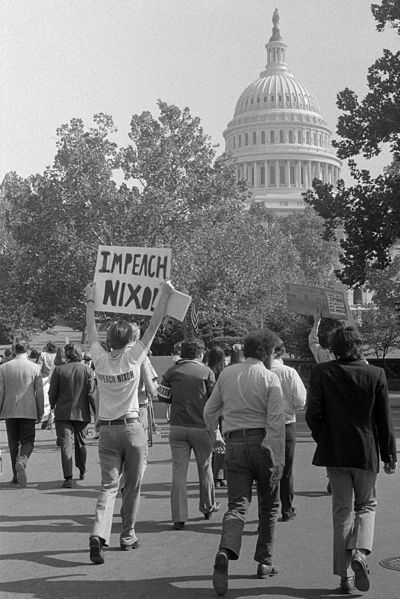 NBC featured two shows primarily focused on the demonstrations against Nixon. For Spokane, any publicity was good publicity. 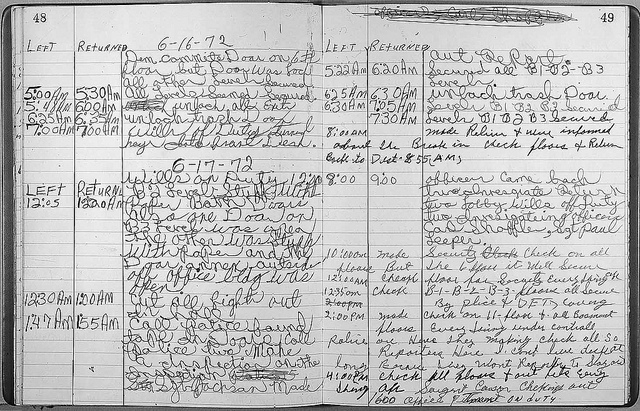 In the coming months things got worse for the President and he was forced to resign in August of 1974. 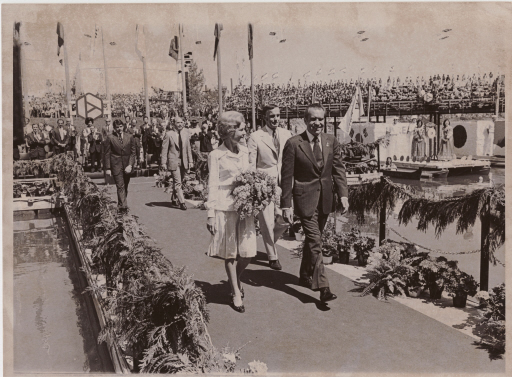 Expo was still going on, and the fair responded by removing all the pictures of Nixon from the U.S. Pavilion. The resignation perplexed many of the foreign exhibitors. 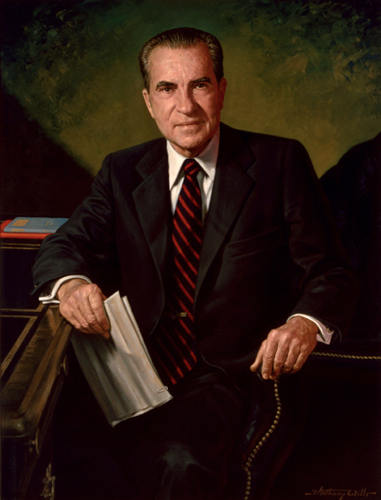 King Cole was asked by a member of the Soviet Commerce Department, "What is going on with Nixon? He's the best American leader we've ever known." As time went by the shock of the resignation had subsided and pictures of Gerald Ford began to take the place of Nixon's. Nixon's visit to Spokane would be remembered as one of the many awkward moments in the weird and wild saga of Watergate. And Spokane would become the first Fair to be opened by one president and closed by another. 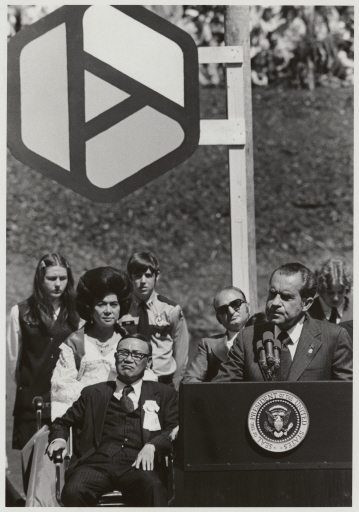 King Cole, known as the father of Expo 74, recalls President Nixon's brief visit to the Fair. Cole, King. Interviewed by J. William T. Youngs. Book Interview, Spokane WA, summer 1994. 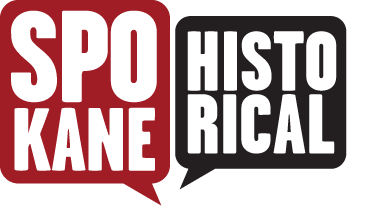 Cory Carpenter, “When Nixon Came to the Fair,” Spokane Historical, accessed April 20, 2019, https://spokanehistorical.org/items/show/384. Matt Neuman website. "The New Nixon Tapes," available at http://www.mattneuman.com/newtapes.htm The Joel E. Ferris Research Library and Archives, Spokane. EWSHS Oral History-OH-230. Youngs, J. William T. The Fair and the Falls: Transforming an American Environment (Eastern Washington University Press, 1996).